At Ashbrook Roofing, we stock an extensive selection of timber-related products, including varnishes and preservatives. 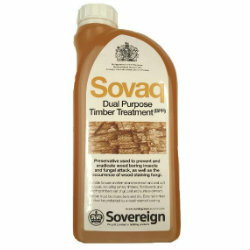 All of these products are designed to maintain and prolong the life of your timber, by protecting it from the damaging effects of moisture and heat. Did you know that we also stock a selection of lead restorers, lead cleaners and lead patination oils? Like our range of wood treatments, the products in this range can be used to extend the lifespan of lead elements of your roof. Whether you’re an enthusiastic DIYer, a self builder or a roofer by trade, we have something in our selection to suit your needs. If you need to buy supplies in bulk, this is also an option and could make you a substantial saving. Take advantage of our fantastic trade prices and next day delivery when you order before 2pm, by purchasing your timber treatments online from Ashbrook Roofing.